The Irish Times has an article by Marie Boran, Virtual reality is giving Second Life a second lease of life. (4/13) Marie was a participant in Second Life™ in 2010. In the first few words she reports the Trump-Swastikas at a Bernie Sanders meetup. That mention should clue people to the possibility of the reporting being shallow. I’ll try to push the Sansar news deeper and provide some perspective on Second Life..
Posted in SANSAR, Sansar News, Second Life, Virtual World News. Tagged Ebbe Altberg, SANSAR, Virtual World News, VR. Jo Yardley posted about a new Sansar video released by Linden Lab: Official Sansar publicity video released. Well done. Makes it look interesting. I take this as part of the promotional run up to general release this ‘Spring’. There is a lot of chatter about Project Sansar on the web. Looking at just the past 30 days, there are pages and pages of Google search results on Sansar. Posted in SANSAR. Tagged SANSAR. Ben Lang at Road to VR has written: ‘Sansar’ Will Open to All in First Half of 2017 with a New Approach to Virtual Worlds. Ben repeats the Lab’s emphasis that Sansar is NOT Second Life 2. Ben explains the Second Life (SL) was a single large persistent world. He never mentions that SL was originally intended to be a virtual world platform for game prototyping. Users changed that idea. Sansar is explained as being a platform more than a virtual world. Sound familiar? Go back and read some of the 2004 to 2008 promotional information. Posted in SANSAR, Sansar News. Tagged SANSAR. We aren’t hearing much new about Sansar. But, Hamlet found and article by Joe Durbin published on UPLOAD, Preview: ‘Sansar’ Could Give Social VR Worlds a Second Life. I think Hamlet was responding to Dubin’s enthusiasm. I found the enthusiasm interesting. Sanar is as hard to describe to the uninitiated as [is] Second Life. It is not a game, a film, a tech demo, or a specific social VR experience. Sansar is raw, limitless virtual potential that can truly be forged into the inter-connected digital world we’ve been dreaming about since Snow Crash. Posted in SANSAR, Sansar News. Tagged SANSAR, SL 2.0. Jo Yardley covers a recent Ebbe Altberg interview: Ebbe Altberg interview about SL & Sansar which is going public next January. The original is here: Episode 7, Ebbe Altberg, Virtual Reality Snowball Champion. I found two interesting points. In the early testing they ran into problems with users getting dizzy. Recent testing shows they have eliminated that problem. I suspect as people are so different there will still be people that get dizzy or suffer simulator sickness. But, in general people will have a good experience. The author got to visit Sansar and thought very well of the experience. The other is that there will be a group entering Sansar in August 2016, by invitation, from those that have signed up. Then Sansar will go public in January of 2017. I suspect I’ll only make it into Sansar in January. But, that is only 5 months or so away. Listening to the audio I found the interviewer thinks somewhat as I do that for sometime VR is going to be a bit primitive and rough around the edges. Its going to take some time for it all to come to gather. Posted in Interview, SANSAR, Sansar News. Tagged News Articles on Sansar, SANSAR. 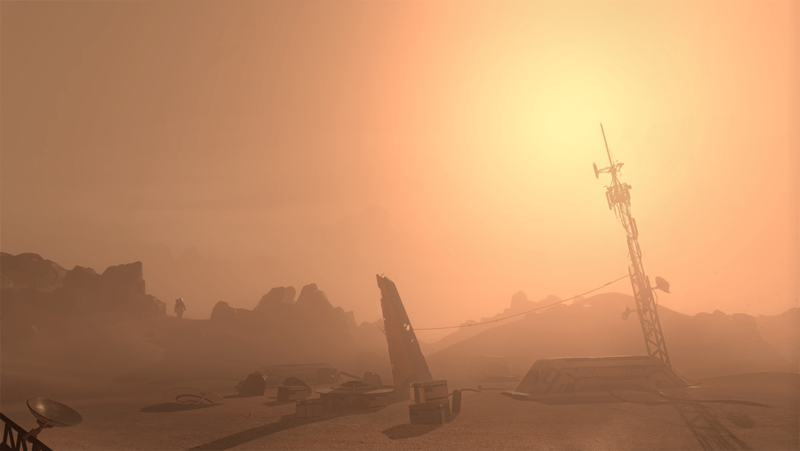 Project Sansar: What’s Different? 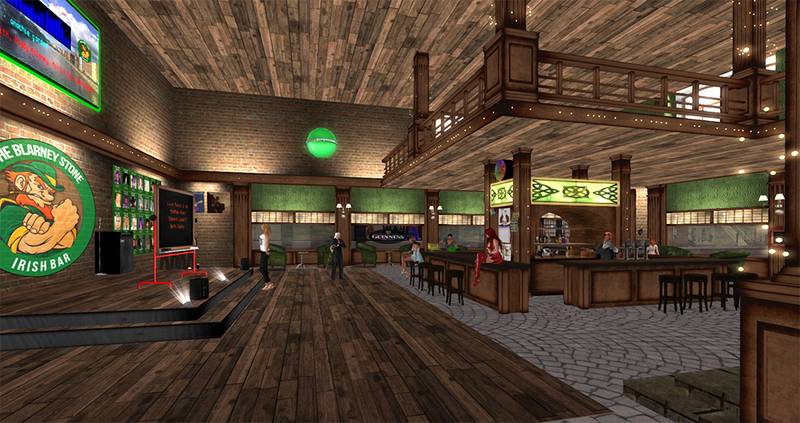 Has Linden Lab Learned Anything from Second Life? Stephanie Condon wrote Second Life™ Lessons: What Linden Lab is doing differently with its new VR platform for ZDNet’s Between the Lines, a sort of technology meets society section of the site. Posted in SANSAR. Tagged News Articles on Sansar, SANSAR. We aren’t hearing much about Sansar these days. Inara did come across this video. Inara Pey has written a well done summary of the Lab Chat #3 meeting. See it here: Lab Chat #3 in 10-ish minutes. Inara touches on all the questions asked and answered. While most of the initial questions and answers have to do with Project Bento there are plenty of general Second Life™ questions and answers in the middle. Discussion then moves to Sansar. I’ve touched on just a few of the interesting points I think needed more information and context. Posted in General News, SANSAR, Second Life. Tagged Ebbe Altberg, SANSAR.